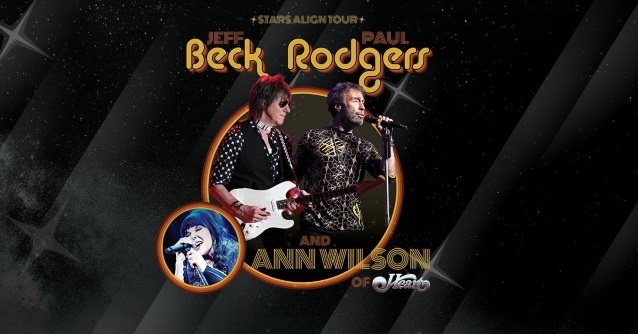 Iconic rock musicians Jeff Beck and Paul Rodgers announced they will join forces for the "Stars Align Tour", their co-headlining summer outing with Ann Wilson of HEART. Produced by Live Nation, the outing kicks off July 18 in West Valley City, Utah, and will stop in cities across the U.S. and Canada including Los Angeles, Dallas, St. Louis, Chicago, Toronto, Tampa, and more. 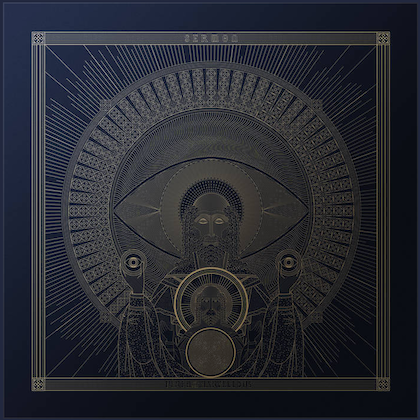 The full listing of tour dates can be found below. Tickets will go on sale to the general public for the "Stars Align Tour" beginning Friday, February 2 at 10 a.m. through LiveNation.com. Citi is the official presale credit card for the tour. As such, Citi cardmembers will have access to purchase U.S. presale tickets beginning Wednesday, January 31 at 12:00 p.m. local time until Thursday, February 1 at 10:00 p.m. local time through Citi's Private Pass program. "I always enjoy touring the U.S. in the summer and joining with Paul, and Ann Wilson should make for quite an exciting night," said Jeff Beck. "This is going to be a knockout combination of music and musicians," said Paul Rodgers. "I've always been a Jeff Beck fan. Who isn't? He is in a league of his own. Ann Wilson has an amazing voice and is a brilliant songwriter. 2018 marks the 50th anniversary of FREE and I hope we can touch your spirit with the 'Spirit Of Free.'" "I am thrilled to have been asked to perform on the 'Stars Align Tour' with Jeff Beck and Paul Rodgers," said Ann Wilson. "They are both long time favorites of mine! They are masters at their craft and it is an honor to share the stage this summer." Over the course of Jeff Beck's distinguished 50-plus-year music career, he has earned an incredible eight Grammy Awards, been ranked by Rolling Stone as one of the "100 Greatest Guitarists Of All Time" and been inducted into the Rock And Roll Hall Of Fame twice — once as a member of THE YARDBIRDS and again as a solo artist. In the summer of 2016, guitar virtuoso Jeff Beck celebrated 50 years of his musical career with an extraordinary concert at the famous Hollywood Bowl. Singer, songwriter and multi-instrumentalist Paul Rodgers has led three bands to global success: FREE, BAD COMPANY and THE FIRM. Rodgers has been named the #3 "Greatest Voice in Rock" in Rolling Stone and the #2 "All Time Best Rock Singer" in Classic Rock magazine. For his songwriting, he was awarded the prestigious Ivor Novello Award along with John Lennon, Paul McCartney and Elton John. 2018 celebrates his 50th anniversary as a recording artist who has sold 125 million records. For the first time in 50 years in North America, Paul's set will focus on his FREE catalogue. On this upcoming summer run, Ann Wilson fans can expect to hear an assortment of HEART hits along with tracks from her solo career. HEART's critically acclaimed "Beautiful Broken" album was released in 2016, the same year she toured with JOAN JETT & THE BLACKHEARTS and CHEAP TRICK.